From one of the biggest selling music artists of all time gracing Franklin's Gardens to a couple choosing to live in their car for four months to be with their dogs - we recall some of the most poignant photographs the Chron has snapped this year. Northampton town centre has remained the focus of attention this year for many reasons. Many homes were ruined in Far Cotton during in the wake of flash flooding, Abington Street lost its' beloved M&S and the former leader of Northamptonshire County Council, Heather Smith, handed in her resignation. Aside from the doom and gloom we have had one of the best years, musically, this town has ever seen. 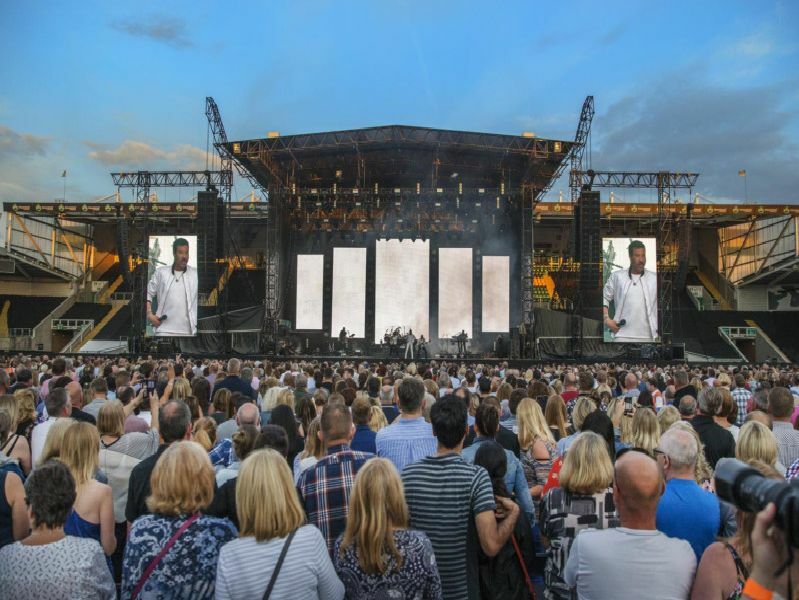 Lionel Richie, Craig David and Rita Ora, just to name a few, have all graced Northampton to perform to the masses this year. Our very own Chatty Man Alan Carr was also on hand to open four new classrooms and a new library at Overstone Primary School and took selfies with each and every person. And proudly, we can report, that this newspaper, and its readers, helped to revive a bus service to serve its elderly community in Kingsley and gifted 1,500 presents to vulnerable children in care at Christmas. Homeowners in St Leonard's Road, Far Cotton, spent their bank holiday stripping out soaked furnishings and figuring out how to come back from the flash floods. Megastar Lionel Richie came to town. The concert began as it would go on - flashing lights and rumbling instruments - with a set that was full of surprises. A huge emergency operation saw a rescue plan get underway in Kingsthorpe after 3 boys became lost and trapped in the town's drainage system. Marks and Spencer in Abington Street closed the doors to shoppers for the final time after decades of trading on the high street.